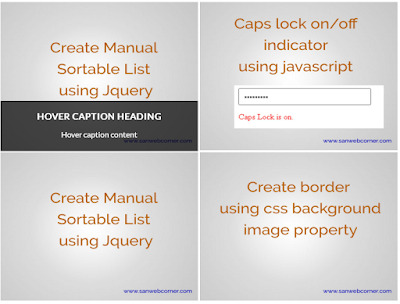 This example helps you to show the image caption and contents on hover the particular image. When hover this image it displays caption and description when you mouse out it will hide. This concept is fully done by using pure css, This is very simple and useful for your website. In website some of the places you should implement this kind of images with caption for example people page, gallery page, etc... Here i will provide full source code and demo page, Check out this demo page how it was.